Petite yet powerful, whips up foam in as little as 10 secs. Ideal for steam-free cappuccinos, lattes, espressos, hot chocolates, shakes and frappes. Foams all kinds of milk (whole/regular/skim, soy, almond and coconut milk) alike for fluffy hot cafe lattes or cold chocolate malts in seconds. 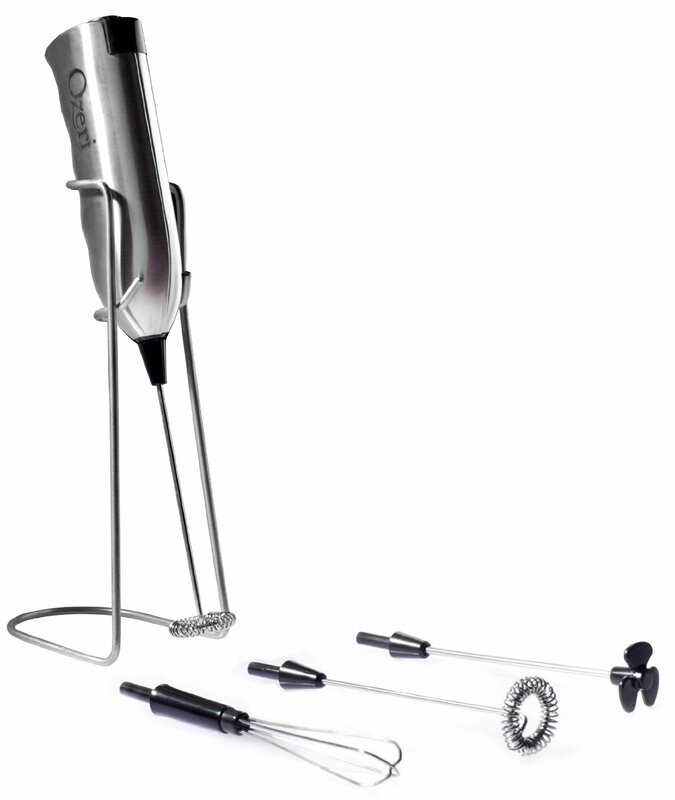 Includes an egg beater to whisk eggs, soups, dressings, sauces and other non-solid food items, and a propeller-shaped attachment for mixing cocktails. 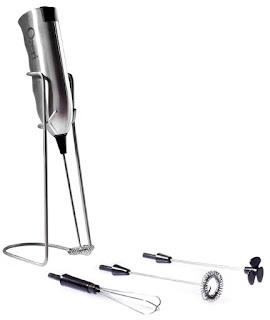 I'm in love with this Ozeri Deluxe Milk Frother and Whisk! I've never used a milk frother before but I love what this Ozeri Frother and Whisk can do. Now that it's cold I've been making my family hot chocolate just about everyday and now that I have this Ozeri Frother I can make professional looking ones at home. The kids love the frothiness and I'd have to agree that it makes just about any beverage more enjoyable. I'm also amazed at the power that this frother has. It's pretty small but gets the job done quickly and is also fun to use. It's sleek and attractive and I've had many people ask me about it just because it looks so nice. I highly recommend this Ozeri Deluxe Milk Frother and Whisk for all your frothing and whisking needs!